Offering a fantastic opportunity for first-time buyers and investors, Yaletown offers 122 condominiums in North Glenmore. Residents can expect open-concept floor plans, in-suite laundry, and covered balconies. While some interiors are simplistic, others are upgraded, contemporary and modern. Yaletown is home to 5-buildings and numerous amenities including a running track, a bbq area, a games room, a lounge, guest suits, and an exercise room. In-suite laundry is included and so is a parking space. 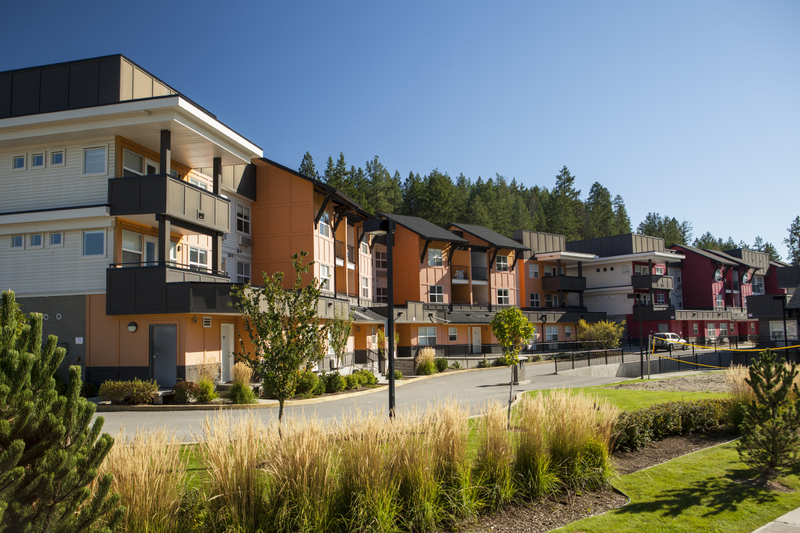 Located close to the intersection of John Hindle Way and Glenmore Road, access to the University of British Columbia Okanagan (UCBO) and the Kelowna International Airport is incredibly simple. The nearby Brandt’s Creek Crossing offers coffee shops, restaurants, and numerous services. And, by car, Kelowna’s downtown core is only 20 minutes away. While rentals and pets are permitted at Yaletown, special restrictions are in place. For the most up-to-date rules and regulations, please contact me.